I’m David Romanowski, creator of “Bike Walk Drive,” my first blog. It focuses mainly on my travel experiences, near and far, current and past. It is very much an experiment in progress. As you may have guessed, I like to travel and explore by bicycle, foot, and car. I’ve taken many bicycling trips, mostly with groups, including one epic, month-long tour (see “Then”). I also enjoy road trips by car along back roads, historic routes, and coastal highways. I like ambling through natural areas and neighborhoods and especially along coasts and shores; exploring parks, preserves, and refuges; staying in historic lodges or quirky motels and inns; and discovering neat small towns with great architecture and ambiance. I walk boardwalks wherever I find them and seek out museums, aquariums, nature centers, gardens, and historic sites. I was a writer-editor for the Smithsonian’s National Air and Space Museum for over 28 years, mainly working on exhibits. 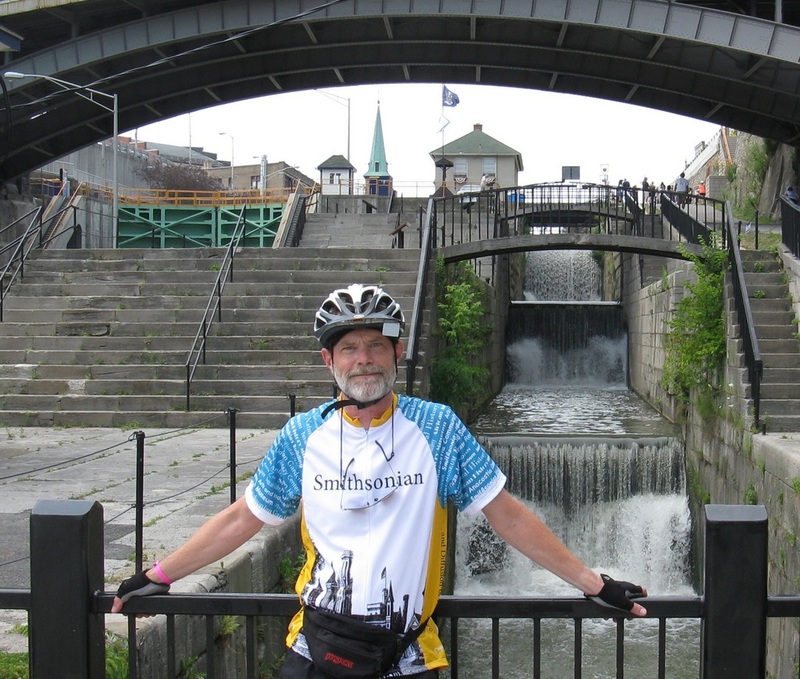 I grew up in Western New York, moved to Boston, and now live in Bethesda, Maryland, about a 10-mile bicycle commute from the National Mall in Washington, D.C.
My favorite regions to visit are New England and New York, Florida, the West Coast, and the great national parks of the West. I’ve visited more than 100 national parks across about 30 states and stayed in most of the historic national park lodges. My all-time favorite travel books remain John Steinbeck’s Travels with Charley and David Lamb’s Over the Hills: A Midlife Escape Across America by Bicycle, a book that changed my life. Many thanks to historian/educator Tim Grove, whose fine blog historyplaces inspired me to give blogging a try.